Designed and written by the global leaders in data centre technical education, CNet Training, in close collaboration with leading data centre professionals from across the globe, the Certified Data Centre Sustainability Professional (CDCSP®) program is set to be in high demand. The program has been created as a result of the requests CNet Training has received from data centre professionals for a sector focused, comprehensive program to provide knowledge and innovative approaches to planning, designing, implementing and monitoring a sustainability strategy for data centre facilities and operational capability. 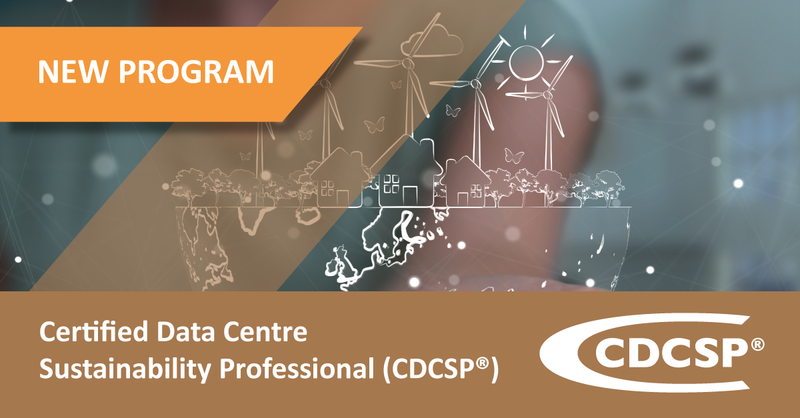 A one-year distance learning program, the Certified Data Centre Sustainability Professional (CDCSP®) provides flexibility and convenience of learning for busy data centre professionals as they log in from across the globe. The learning, managed and supported by CNet Training’s in-house team, is split into three terms. Design and creation of the program was undertaken by CNet Training’s Technical Architect Adrian Jones, who worked with representatives from over seventy business, operations, design, sustainability and manufacturer environments from across the world, including members of the Technical Curriculum Advisory Board (TCAB), to gain insight and contribution, and ensure the program content is current and reflects the on-going needs of the sector. Successful learners gain CDCSP® certification, a post nominal title and a Diploma qualification at level six which is equivalent to a Bachelors Degree. CNet Training is the only technical education provider for the data centre sector in the world to award both official certifications and internationally recognised qualifications. The CDCSP® is structured for senior data centre operational & facilities management, team leaders and senior engineers wishing to unite existing knowledge with new learning concerning achieving a sustainability focused strategy within their mission critical facility.